The Thomas Jackson and Amanda Burdette Denson family in Helicon, Winston County, ca. 1904. 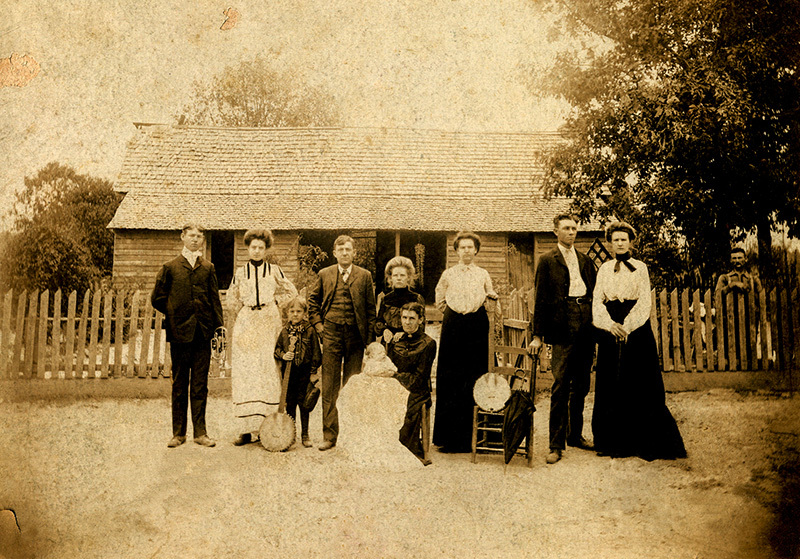 Left to right, standing: Paine Denson, his wife Janie, Howard Denson, Thomas Jackson Denson ("Pappy"), Jerusha Henrietta Denson (later Edwards), Maggie Frances Denson (later Cagle), Newt Aaron (husband of Annie Denson), Annie Denson. Seated: Amanda Burdette Denson holding Otho D. Aaron (son of Newt and Annie).